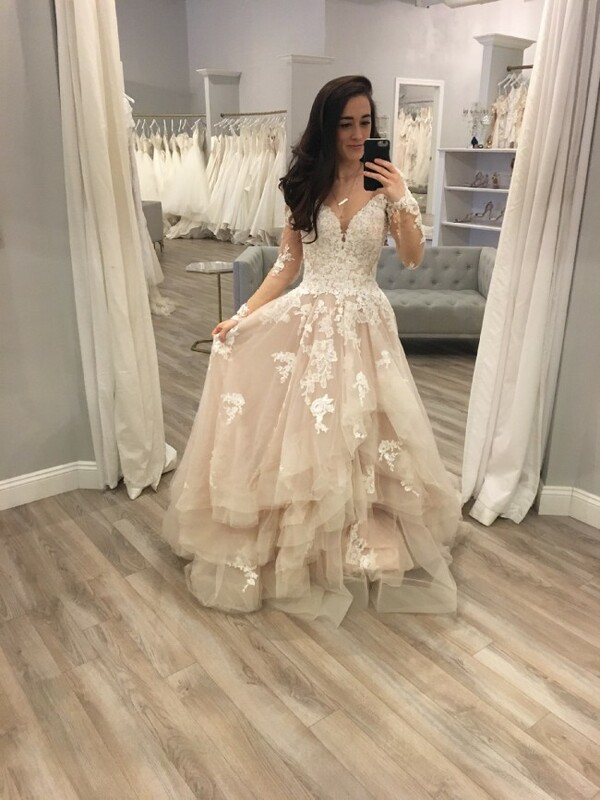 Want to feel like a princess on your wedding day? This stunning dress is brand new, still in its original tags and in its same garment bag. I have put it on only once when I picked up the dress. It's gorgeous, lightweight and so comfy! This beautiful dress has a beautiful, whimsical skirt. Layers add drama and dimension--and the ivory lace pops so well with the moscato tulle! Long, illusion lace sleeves have subtle crystal button details near the wrist. Comes with an optional belt. I absolutely LOVED this dress, but I'm also very indecisive and ended up finding another dress:) It's new, un-altered with tags. I'll try to find the original receipt so I can add that to the photos as well!